Microsoft India Store “buyoriginalms.com” Website Defaced by xOOmxOOm? Looks like hackers altered just the title and meta description of the website, but not the content of the website. Hope someone at Microsoft notices this issue and quickly reacts. 2 Comments on Microsoft India Store “buyoriginalms.com” Website Defaced by xOOmxOOm? Nice find gopinath , hackers sems to have no exception for Microsoft as recently China’s popular search engine Baidu has been hacked. 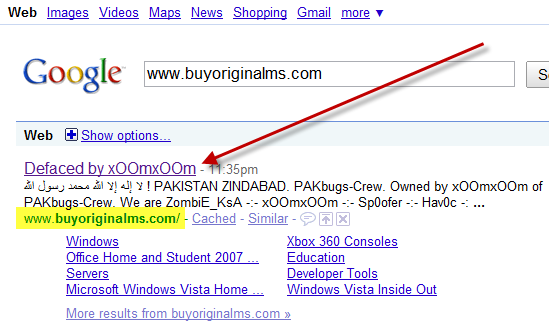 1Pingbacks & Trackbacks on Microsoft India Store “buyoriginalms.com” Website Defaced by xOOmxOOm?